Bhavya is the ancient Sanskrit girl name which literally means grand, proper, future, beautiful, magnificent and auspiciousness. Another meaning is handsome, existing, appropriate, being, good, true, favorable and pious. 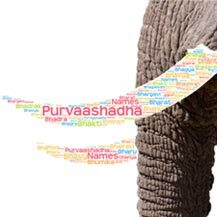 Sanskrit name Bhavya is derived from word bhavya (भव्य), which means auspicious or fortunate as per mentioned in Rghuvansh and Bhagvat Purana. It also means handsome, beautiful, pleasant, gracious or favourable as per mentioned in the Mhabharata and Ramayana. Bhavya is an another name of the Goddess Durga and also the name of Goddess Parvati. According to graph you can see Bhavya name is famous in USA since 1995. 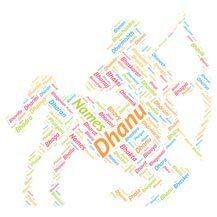 According to the data gathered from social networking sites, this name is a pretty popular. 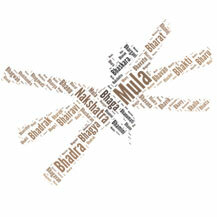 Here Bhavya is used by more than 2070 people in India as the name of their kids. Name Bhavya is sweet and common. Bhavya has a very beautiful meaning attached to it. Bhavya has great mythological reference. Bhavya Gowda is an Indian-born model and international actress & beauty pageant title holder. Bhavya Creations is an Indian film production studio. Bhavya Pandit is an Playback singer. Literally means 'one who helps people'.Janardana is another ..
Hindu name Chaitra means 'Spring' or 'Aries Sign'. Chaitra a..